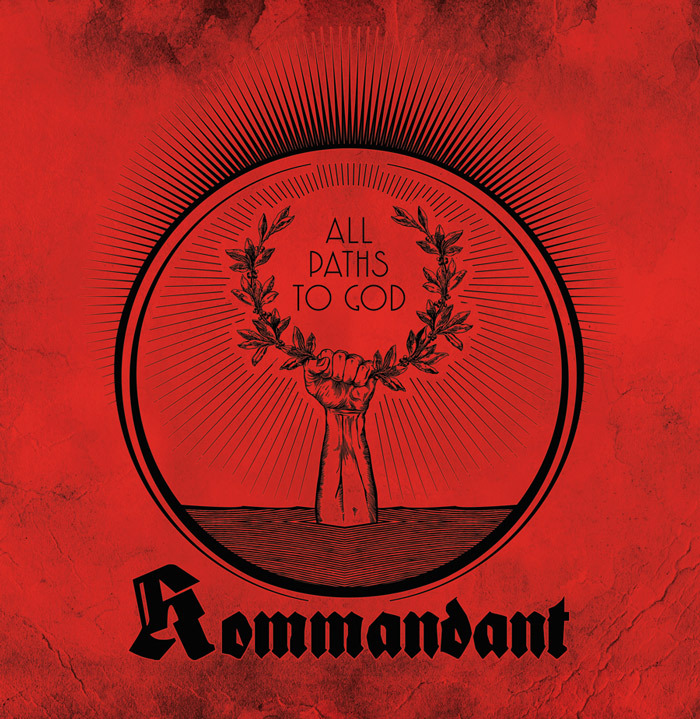 This is the cover for the Kommandant‘s side of the 7″ split with Animus Mortis, released by Behold Barbarity. 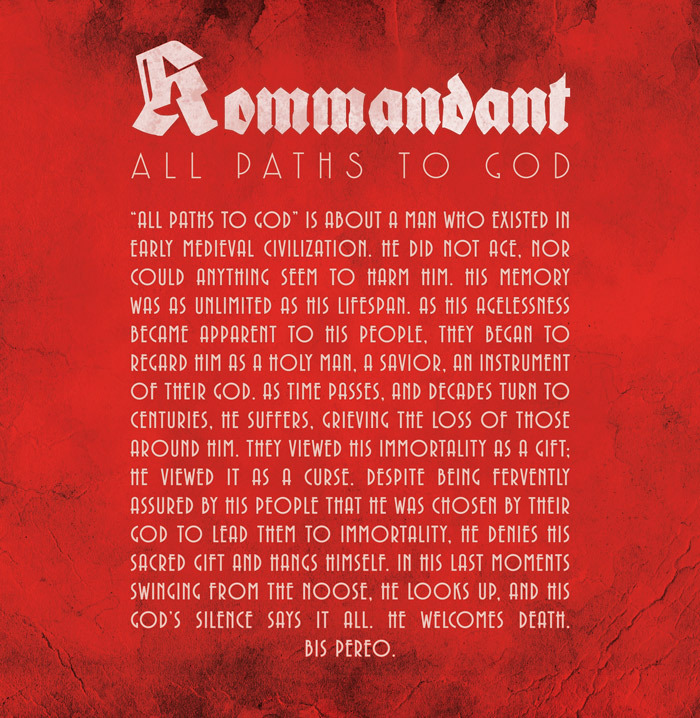 “All Paths to God” is focused on a holy man chosen by God to be immortal. This “blessing” becomes a curse and the man rebels against the Creator by killing himself. I symbolically translated the concept of the lyrics into the image of an arm emerging from the sea, symbol of the underworld, and holding a laurel wreath representing victory.